Customer Service Reps – Progressive: Hiring in the following areas: Phoenix, AZ | Austin, TX | Raleigh NC | Las Vegas, NV | Sterling Heights, MI | Pittsburgh, PA. Pay is in the $16-$20/hour range. On-site nesting period required. “For our call center reps it’s all about helping people. 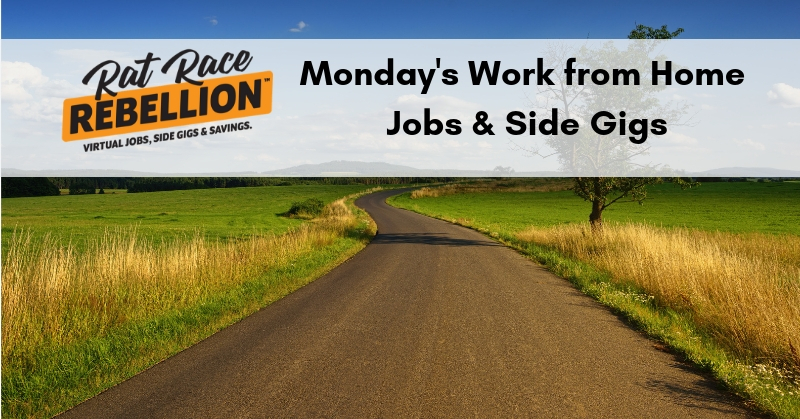 We have a variety of positions available where you can apply your passion by assisting our customers with their insurance needs.” TO FIND THE JOBS – Click here and enter the quoted phrase “work from home” in the JOB TITLE field and hit your ENTER key. JUST AS WE’RE MENTIONING THE EXACT STEPS TO FIND THESE WORK FROM HOME JOBS ON THE PROGRESSIVE SITE, OUR ONLINE COURSE GIVES YOU STEP-BY-STEP INSTRUCTIONS FOR UNCOVERING HOME-BASED JOBS WITH OVER 100 BIG NAME COMPANIES. IT’S THE KEY COMPETITIVE ADVANTAGE FOR FINDING JOBS BEFORE THEY’RE FILLED! ENROLL TODAY! Telephonic Injury Triage Registered Nurses – Medcor: “By joining our nursing team, you will be helping thousands of employers better manage their workplace injuries and improve the quality of healthcare for their employees. Nurses who are successful in this position must be able to talk on the phone while typing and navigating through various software applications at the same time. Our nurses must have the ability to visualize an injury while on the phone, and ask questions as appropriate to get clarification about the injury, while following our propriety algorithms to guide the triage of the injured worker.” Must possess a valid Registered Nurse license in at least one U.S. state at time of hire. Rebel with Some Free Ice Cream! FREE ICE CREAM AT BEN & JERRY’S TOMORROW – This is a little off-topic, but hey, looking for work is hard. So why not reward yourself? Tomorrow is “Free Cone Day” at Ben & Jerry’s. Find your local “scoop shop” at the linked page. Enjoy!